Redditch train station is right outside the Kingfisher and this Nando's is located in the Kingfisher Shopping Centre in the new "The Hub" part. There is a Vue cinema at this end of the centre and currently a Pure Gym and Real China Buffet open here with a Pizza Hut due to open at some point. Other shops in the Kingfisher include Debenhams, M&S, Primark, Next, BHS, Wilkinsons etc. Parking is reasonable - head for car park 1 or 4 off the ring road. Mon-Sat 7:30am-5:30pm it is £1.20/2hrs, £2.50/2-5hrs, £3/5-6hrs and upwards from there. After 5:30pm Mon-Sat it is FREE until closing (which is 1am for car parks 1 and 4) and is £1 all day on a Sunday. We try to go there every 2 weeks, with daughter who has the card her name Michelle, granddaughter, grandson we love it as 2 of us always have chicken etc, daughter and granddaughter have vegetarian, so everyone happy. Kingfisher in Redditch is the best, the Manager helpful staff pleasant always very efficient, place clean. There are not many restaurants you can go to which will please all the family. The bonus is the humous and bread, plus the s auces and frozen yoghurt. 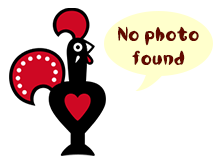 We had an excellent visits to Nando's on Sunday evening , me my. Partner step dad and sister , the food was excellent , waiting tOn my way! low , and outlet waiters I think her name was Nicola was so attentive, vibrant and professional - this is our favourite Nando's restaurant. Smiles everywhere. It's a rarity that I leave reviews but after visiting your restaurant today I feel I must. My two boys aged 10 and 13 had never eaten in a Nandos before and were extremely impressed as was I. As soon as we were seated we were immediately looked after by a waitress called Laura. She was very helpful bringing over different sauces for my boys to try and really going the extra mile to make sure we were all enjoyed our food which we did. Staff were friendly. But had to wait 50 minutes for take away. Grillers were kids who were more concerned with giggling than doing their job. Bank Holiday Monday, as expected Nandos Redditch was absolutely packed. The queue at the Tills to order food was very long, But both Girls ( Holly & Charlotte I think) were very friendly and helpful, I ordered a few drinks and even though she clearly had a lot of other people to serve she offered to help carry them over to my table. we expected the food wait to be fairly long but we were all happily surprised when it took about ten minutes.